The tough task of organising volunteer’s efforts just got easier through our smart Volunteer Action Templates designed to ensure a holistic monitoring and recording of the tasks and activities assigned to volunteers. It also allows you to plan projects, activities and ensure its smooth execution saving time. You can also see Delivery Schedule Template. 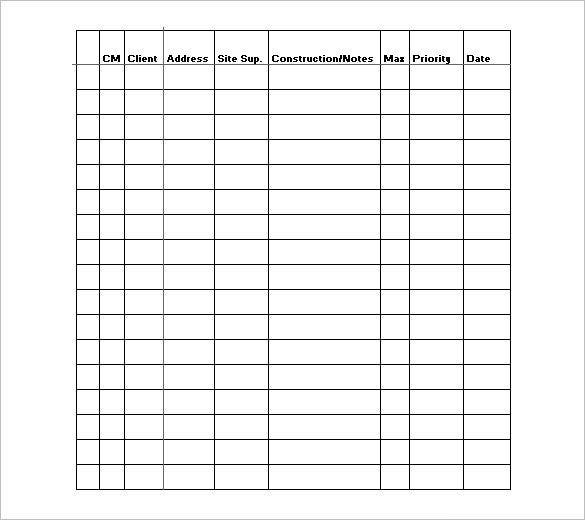 disasterrecoveryplaybook.org Blank Volunteer Schedule Template Excel formatted to monitor as well as record the tasks, activities and the works allocated to volunteers belonging to an organization. With this template, you can track the time taken on the tasks by the volunteers. 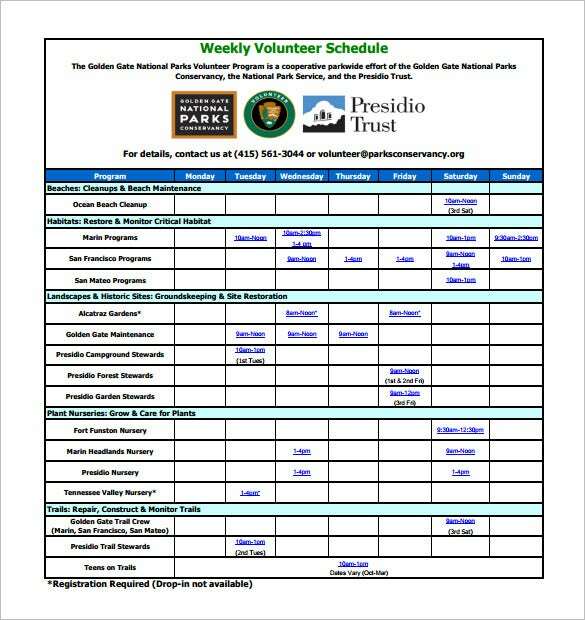 National Parks Weekly Volunteer Schedule Template PDF consists of weekly program such as beach cleanups & maintenance, restore & monitor critical habitat, grounds keeping & site restoration of landscapes and historic sites, days and the detailed timing schedule. This template makes it easy to keep the records and efficient printable presentation. 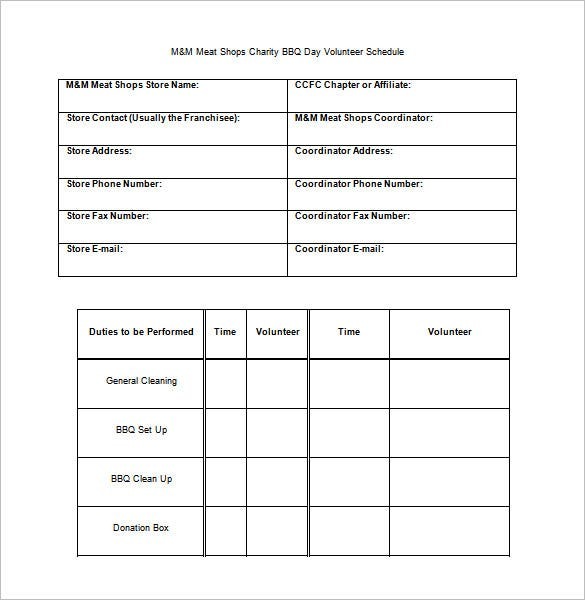 crohnsandcolitis.ca Blank BBQ Day Volunteer Schedule Template Word Format includes duties be performed such as general cleaning, BBQ set up, BBQ clean up, donation box. All these tasks have before and after, time schedule recorded which are printable for future reference. 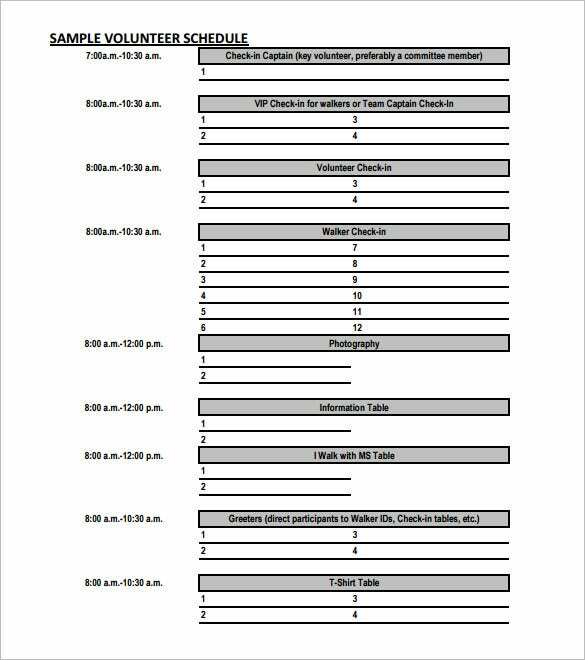 Sample Blank Volunteer Schedule Template PDF Format consists of marking and unmarking routes, donation pick-ups, event set up, arranging security along with the time schedule required to complete each task. This template also includes photography session, and lastly starts and finish line for breakfast. 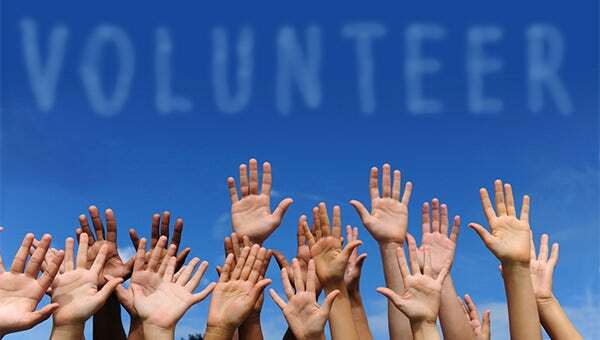 Volunteer Training Schedule Template is the complete updated chart of a volunteer training class, which starts from instructions on proper dressing, the documents you need to bring such as a pen and driver’s license etc to conclude Volunteer application. 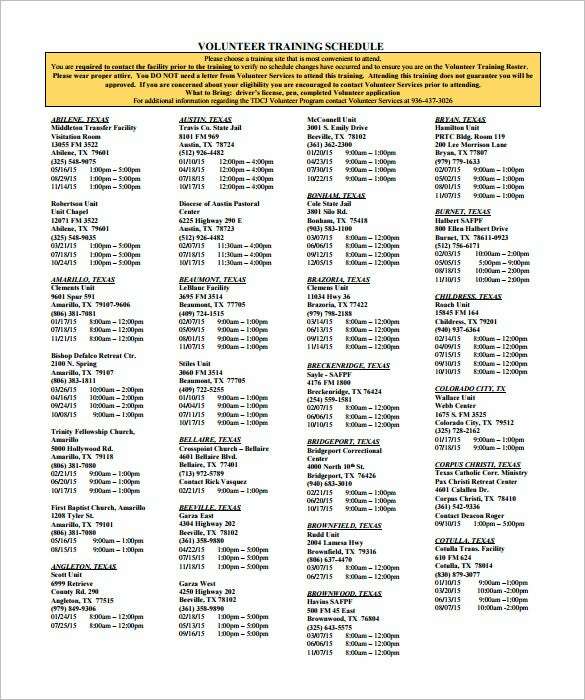 It also includes the timetable schedule of the training. 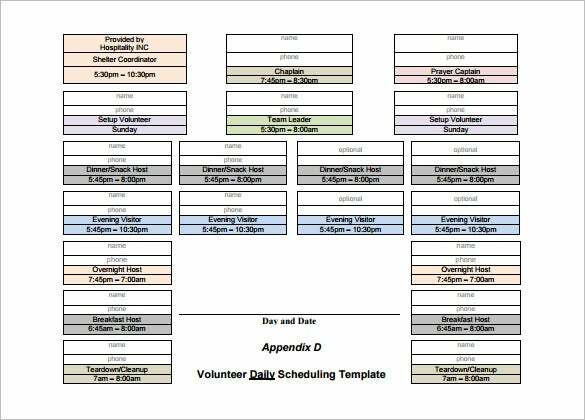 Volunteer Daily Scheduling Template saves your energy, money and time as it takes up all these three if you have to make on your own and sometime you may find it difficult. This template is easy to fill up and printable. Track the growth, contact information and other such details of the volunteers for a given week with such ease through our easily available weekly schedule templates. Download the interesting samples from a wide variety of examples in any given format as per your convenience and get started at the click of a button. Personal Work Volunteer Schedule Template is printable, having volunteer schedule for personal to do list, to do work or volunteer list, and daily schedule timings. This template also includes column to add happy thought daily, food journal, monthly goal etc. 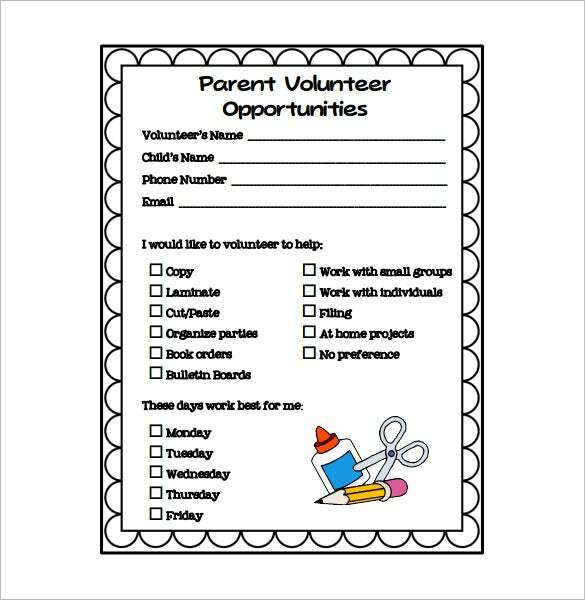 Parent Volunteer Schedule Opportunities PDF is for parents who wants to volunteer but does not have a clue how to start. This template comes with readymade format where you can tick your area of interest to volunteer. Once done selecting the options, you can take instant printout. 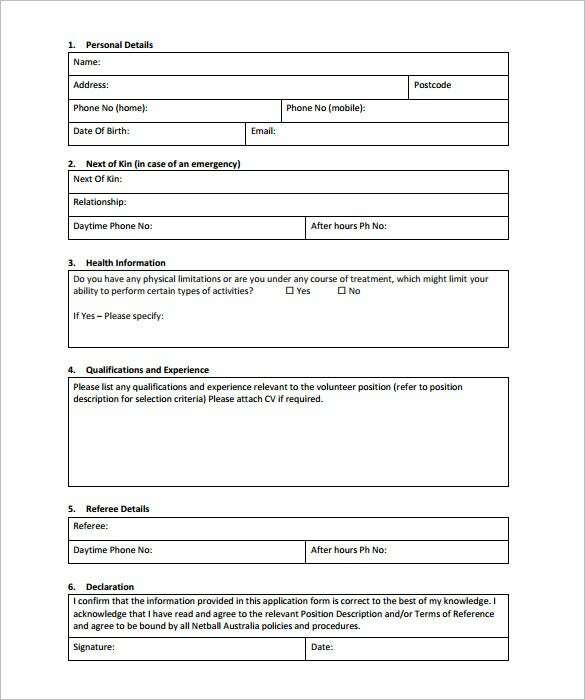 Volunteer Management Plan Schedule Application Form PDF Format is the most user-friendly format as the entire requirement to create a template is already readymade. You only need to fill up only few details like your name, address, email, date of birth, mobile number etc. 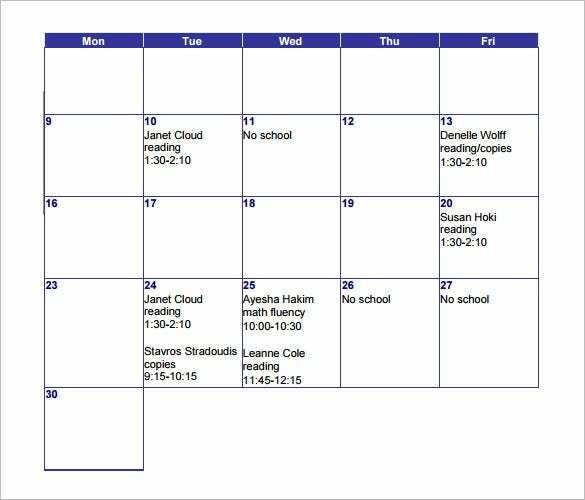 Printable 2016 Volunteer Calendar Schedule Template PDF format is very useful in finding and keeping records of volunteers. 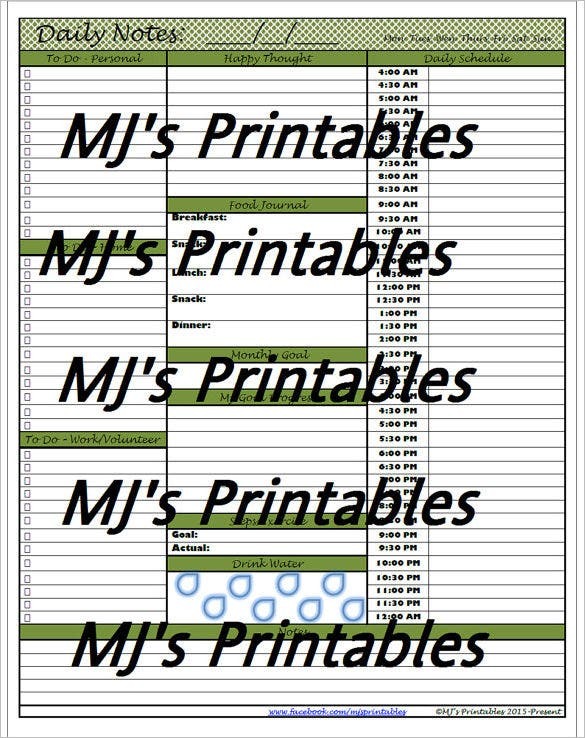 This template is a set of 12 months of a year calendar made easy to mark out schedule of each month. It keeps all the schedule and tasks recorded.